Goals: Redesign and migrate site to Magento platform. Enhance marketing and merchandising capabilities. Glad Lash has over 30 years experience in the beauty industry and now manufactures a range of professional grade eyelash extension and consumer cosmetics products. 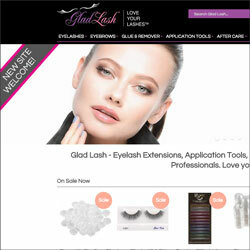 Based in Los Angeles, Glad Lash sells internationally to 60 countries. The site previously operated on the Weebly platform. Due to significant and continued growth, a platform migration was required to allow the business to scale. The brief was to migrate the existing site to Magento and make integrations with third party systems including Quick Books, Shipworks, eBay, USPS and Fedex shipping providers, Akeneo PIM, Live Chat Inc. Remarkety, MailChimp and several other services. The site was redesigned and modernised to improve core functionality including navigation, search and general merchandising. The theme is responsive, so it adapts fluidly across the full range of devices from mobile to desktop. With 65% of visitor sessions coming from tablet/mobile, it was critical to employ an optimised responsive theme. 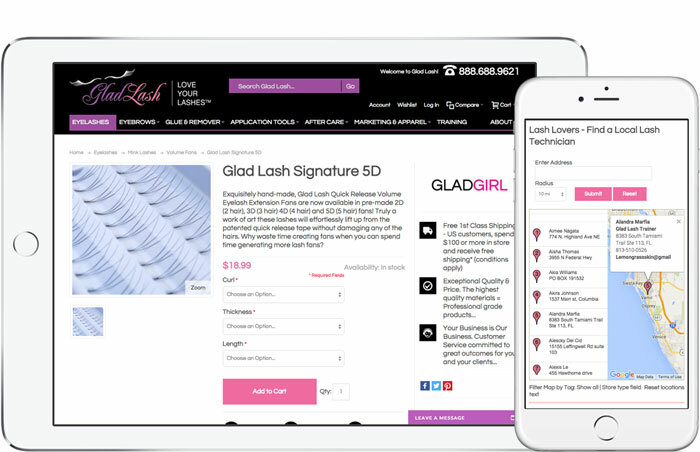 Custom work included building a directory of Lash Technicians (utilising store locator technology) and USPS/Fedex API integrations. The project was completed in January 2016 with a Curata representative travelling to LA to be on the ground for the website launch and to conduct client training. 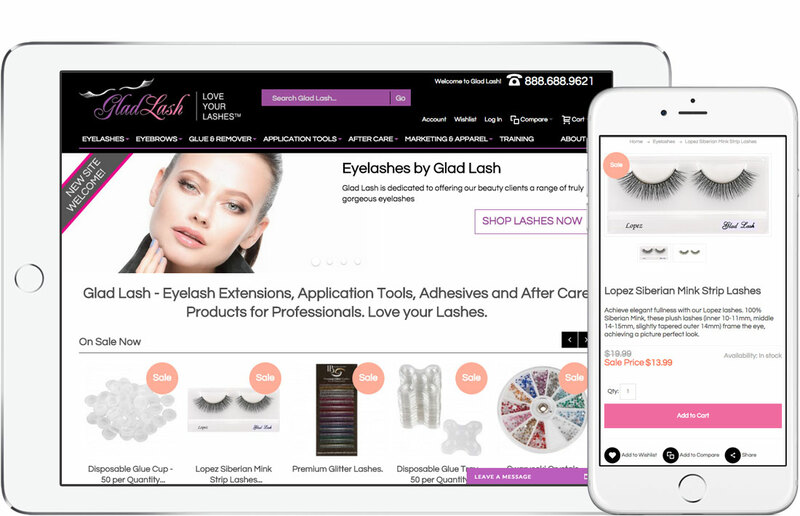 Since the site launch, Glad Lash has enjoyed significant growth in traffic, conversion rate and revenue. Curata continues to provide ongoing, full-service support for task such as – development, web hosting and deployment management, content creation and strategy, digital marketing and business consultancy services to the company.